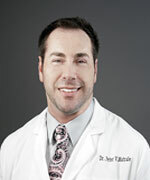 Dr. Peter V. Matrale is a Fort Lauderdale Chiropractor dedicated to the practice and treatment of the patients chiropractic needs at his Élan Vital Healthcare Clinic and features an expertise as a chiropractic educator in auto accident spine and injury care. Dr. Matrale believes that your wellness care is the #1 priority to achieving and maintaining optimal health in your life. Prevent medical problems before they start you on the road to dis-ease…if you don’t have good health you don’t have much! Wellness Care is being talked about as a strategy to reduce our countries rising medical care costs. Our current healthcare system relies too much on treatment after the fact and not enough on prevention. People who take care of themselves will have less medical cost burden and live better. Losing weight, exercise more, eat right,and maintaining the body’s natural ability to heal itself needs to be recognized as part of the solution. Wellness care is to look for the underlying causes of any dis-ease and to help the body’s natural healing ability, not by adding something to the body but by fixing the cause that might interfere with its normal function. Dr,. Matrale is educated and experienced in locating and correcting major causes of stress and body subluxations. 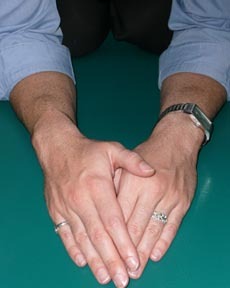 Subluxation is the medical term used to indicate the areas of the body that are out of harmony causing a breakdown in your internal communication which can lead to lowered resistance to disease, frequent headaches, inefficient body function, distorted posture and balance, and much more thereby accelerating more medical problems. Wellness care is different then standard medical care as it works with the body’s ability to heal rather then adding something to the body to heal, such as a medication or surgery. In some instances the injury may be severe that the body may need an intervention through surgery or other means, and Dr. Matrale will discuss this honestly with you and will refer you to the proper doctor to continue your treatment. You can return to wellness care afterward to maintain your good health.